Todays TWO comes from the most awesome Marcus Walters Studio. It seems like the perfect day to bring out the ice cream! Marcus is one of the UK's foremost illustrators and designers. His work spans a wide variety of styles and techniques including collage, drawing and screen printing. Marcus studied at Central St Martin’s College of Art and Design, London before going on to work in the design industry. Marcus has exhibited his artwork in shows across the world and is a regular feature at the V&A Museum, London. His commercial clients include Amnesty International, The Fairtrade Foundation, Honda, BBC, Sony, Orange, Honda, Coca-Cola and a number of magazines. Marcus currently spends his time working from his studio and print workshop in Gloucestershire. He has a passion for designing T-shirts, maybe its the process, maybe the size restriction ( not unlike the now defunct record cover). Whatever the reason it gives him a great thrill knowing that people are wearing his designs on the street, somewhere in the world. We love Marcus's clothing range at Popsicle, kids and adults cant get enough of them! He works collaboratively with his wife Hayley who hand prints his work. When he hands his artwork to Hayley for printing she will also add her own interpretation, so its a team effort! 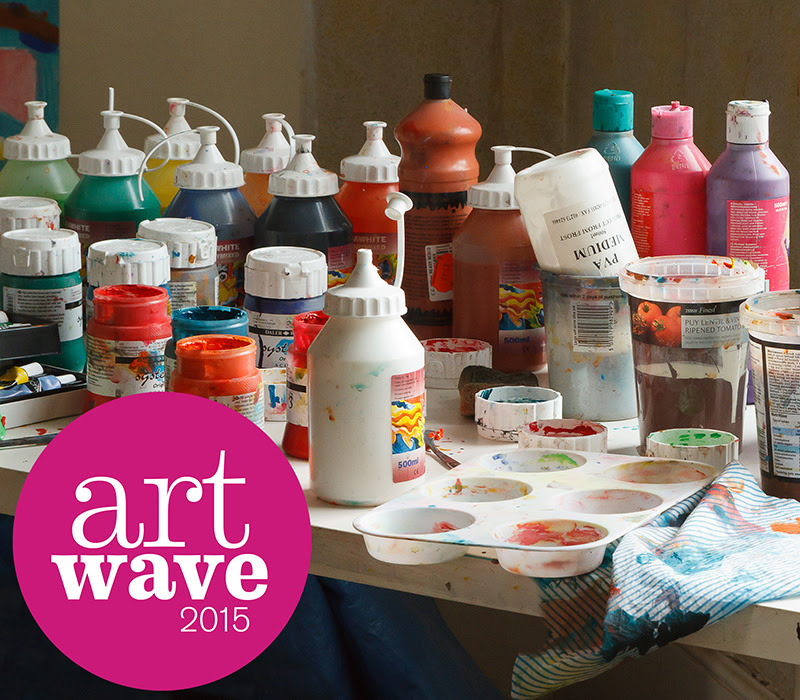 Popsicle is very excited to be part of this years Artwave art trial. 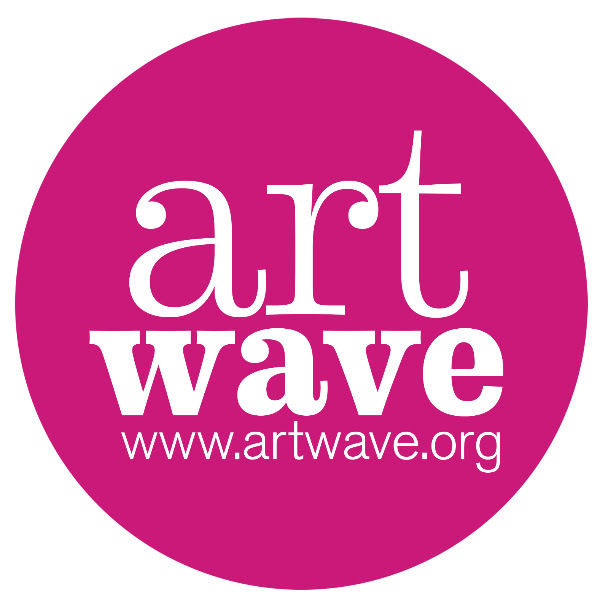 We are looking forward to showing a wonderful collection of unique talented artists. All of which share my love of colour and fun which is obvious in their work! Come take a virtual walk around our awesome artists. Ella Robinson is a talented young artist whose work celebrates vibrant colour, pattern and unexpected textile materials. She is a graduate of the Royal College of Art, London. Working with both found and purchased media, she creates one-off hand crafted pieces inspired by the colours of the urban environment and the charm of the coast. Ella Robinson was born in Brighton (UK) in 1984. Her passion for art was first realised during experimental art lessons, where numerous found materials were used; ring pulls from drinks cans, large pieces of wood found in skips and scraps of materials and ribbon. She found it more exciting and inspiring to work three-dimensionally with materials, discovering their unique properties, rather than to paint or draw. Since graduating Robinson has continued to combine found wood with traditional textile media and plastics by drilling, stitching and wrapping. Whilst studying at the Royal College, Robinson came third in the Man Group Drawing Prize (2009) with examples of her embroidered driftwood pieces, was awarded The Worshipful Company of Dyers’ Travel Bursary (2008) (where she travelled to New York), and had her first solo show, Stripetastic, at The Doncaster Museum and Art Gallery. Hugh, 2010, plastic tubing, steel pins and driftwood, 36 x 23 x 6cm. Blue, found beach plastics and found wood 49.5 x 49.5 x 4.7cm, £550. Oh, 2009, viscose thread and driftwood, 20 x 15 x 3cm £300.